Hotel Avalon Suites Is a Luxury 3-Star Hotel situated in the heart of Multan City, Just 5 KM away from Multan International Airport. As the most famous name in the industry, travelers from all over the world say “take me to Avalon” for nearly a century. Avalon is still synonymous with hotels around the world due to our innovative approach to products, facilities, and services. Avalon Hotels remains a stylish, forward-thinking global hospitality leader - we help you travel with ease through our smart design, innovative restaurant concept, true hospitality and commitment to a global community. Let us be your home away from home. Creating memorable stay experiences is a priority at the Hotel Avalon Suites where contemporary interiors of our rooms are met with warm hospitality and immaculate levels of service to make every stay a unique and unforgettable one. Our rooms are designed with comfort and convenience in mind, providing a place to unwind or to catch up on work. You will immediately feel at home in these bright and airy rooms with large windows. 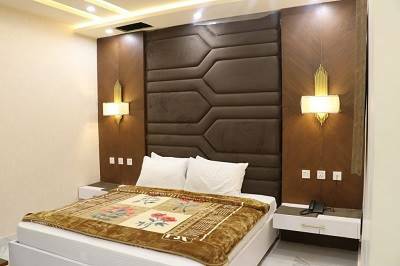 The hotel enjoys an outstanding location in the heart of Multan and its proximity to the city’s Old heritage in form of tombs and museum, shopping malls, touristic destinations, and leisure attractions makes it an ideal venue for holiday seekers. 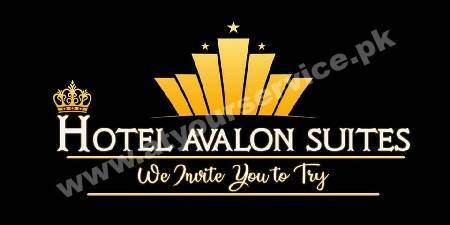 Hotel Avalon Suites also caters for business travelers looking for a comprehensive venue to fulfill all their conferences and business trips requirements. The hotel has conference rooms all complemented with state-of-the-art facilities. Our 24/7 active Reception and Room Service will make your stay comfortable.